I got everything I needed to get done this morning, done. That’s pretty awesome. That being said, it’s one of those days where I am just so beat, I ended up having to take a nap. 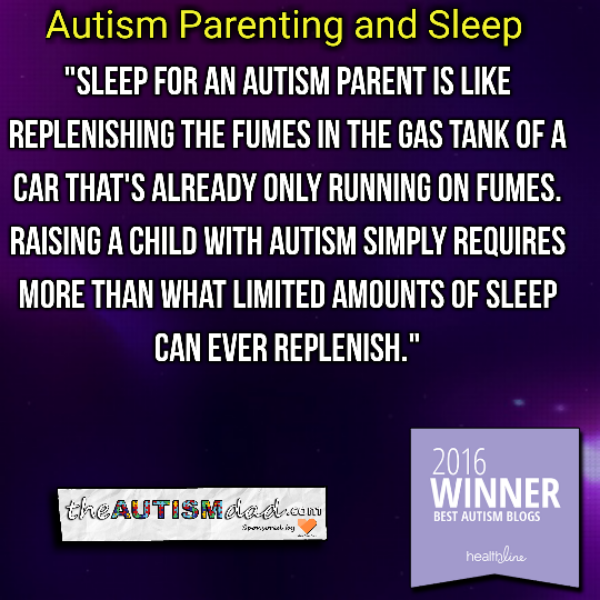 It may seem like taking a nap is more of a choice and I guess in a way it is but for an Autism parent like myself, it’s not that simple. I had reached a point where I was simply no longer going to be able to function. Continue reading You Might Be An Autism Parent If This Post Makes Total Sense at . Where is the Love from Public Servants?